EL PASO, TX – ScottHulse shareholder Stuart R. Schwartz was recognized as “Outstanding Senior Lawyer” by the El Paso Young Lawyers Association for his community service and dedication to professionalism and justice, May 13, at the El Paso Bar Association Law Day Dinner and Awards Banquet. 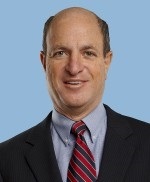 Mr. Schwartz has served on the board of numerous nonprofit and governmental organizations. He is the current chairman of the Ethics Review Commission for the City of El Paso and capital campaign chairman for El Pasoans Fighting Hunger Food Bank. A frequent guest speaker and lecturer at local and state professional forums, he was a panelist at the Better Business Bureau of El Paso’s annual luncheon, May 24, where he spoke about ethics in government. Mr. Schwartz has also been recognized as a Super Lawyer by Thompson Reuters, a Fellow with the Litigation Council of America, and is one of only two Texas attorneys Board Certified in Creditors’ Rights Law by the American Board of Certification. He has been with the ScottHulse law firm for 38 years.